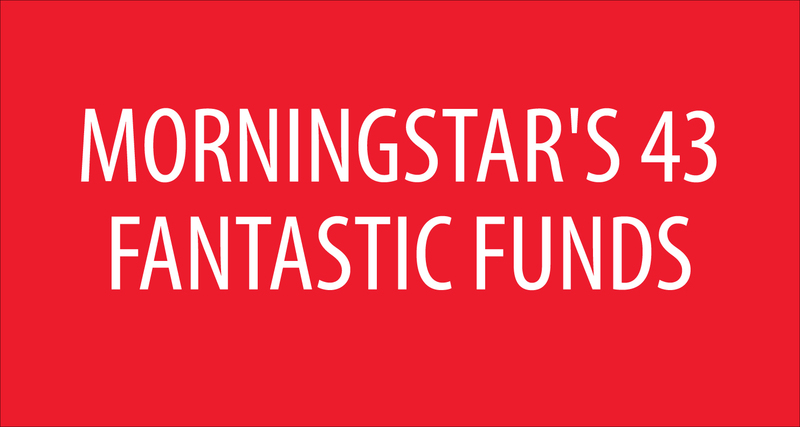 In a December 11 video, Morningstar featured Baird Short Term Bond Fund (BSBIX) as one of its "Bond Fund Picks for a Rising Interest Rate Environment." The discussion of BSBIX begins at the 2:04 mark. Emory Zink: Silver-rated Baird Short-Term Bond Fund exhibits a number of characteristics that make it a compelling offering in its category, regardless of where the Federal Reserve takes interest rates. First, the team manages duration close to the fund's Bloomberg Barclays US Government Credit 1-3 Year Index, eschewing aggressive interest-rate calls as a source of return. Second, there is a policy of absolutely no derivatives or leverage in the fund, which limits volatility versus more aggressive peers. Third, the fees on this fund are some of the lowest in the category, and in a category where yields are already quite low, this gives the fund an advantage over competitors who have a much higher price hurdle that they have to overcome. Those short-term bond funds are, by design, less vulnerable to broad market moves. This particular fund within this category is thoughtfully structured to remain resilient, regardless of where the Federal Reserve takes interest rates. Analyst Rating is the summary expression of Morningstar's forward-looking analysis of a fund. Morningstar analysts assign the ratings on a five-tier scale with three positive ratings of Gold, Silver, and Bronze, a Neutral rating, and a Negative rating. The Analyst Rating is based on the analyst's conviction in the fund's ability to outperform its peer group and/or relevant benchmark on a risk-adjusted basis over the long term. If a fund receives a positive rating of Gold, Silver, or Bronze, it means Morningstar analysts think highly of the fund and expect it to outperform over a full market cycle of at least five years. The Analyst Rating is not a market call, and it is not meant to replace investors' due-diligence process. It cannot assess whether a fund is the right fit for a particular portfolio and risk tolerance. Morningstar evaluates funds absed on five key pillars – Process, Performance, People, Parent, and Price. Analysts assign a rating of Positive, Neutral, or Negative to each pillar. Analyst Rating Scale – Gold: Best-of-breed fund that distinguishes itself across the five pillars and has garnered the analysts' highest level of conviction. Silver: Fund with advantages that outweigh the disadvantages across the five pillars and with sufficient level of analyst conviction to warrant a positive rating. Bronze: Fund with notable advantages across several, but perhaps not all, of the five pillars. The Morningstar three-star rating for the Institutional Class Baird Short-Term Bond Fund is the overall rating received among 463 Short-Term Bond Funds. The fund received three stars for the three-year period among 463 Short-Term Bond Funds, four stars for the five-year period among 393 Short-Term Bond Funds and three stars for the ten-year period among 259 Short-Term bond Funds, as of November 30, 2017. The overall Morningstar Rating for a fund is derived from a weighted average of the performance figures associated with a fund's three-, five- and ten-year (if applicable) Morningstar Rating metrics. For each fund with at least a three-year history, Morningstar calculates a Morningstar Rating based on a Morningstar Risk- Adjusted Return measure that accounts for variation in a fund's monthly performance (including the effects of sales charges, loads and redemption fees), placing more emphasis on downward variations and rewarding consistent performance. The top 10% of funds in each category receive five stars, the next 22.5% receive four stars, the next 35% receive three stars, the next 22.5% receive two stars and the bottom 10% receive one star. Each share class is counted as a fraction of one fund within this scale and rated separately, which may cause slight variations in the distribution percentages. Past performance is no guarantee of future results. The average annual total returns for the Institutional Class of the Baird Short-Term Bond Fund as of November 30, 2017 are 1.62% for the one-year, 1.51% for the five-year and 2.44% for the ten-year periods and 2.77% since its August 31, 2004 inception date. The average annual total returns for the Barclays 1-3 U.S. Government/Credit Bond Index as of November 30, 2017 are 0.88% for the one-year, 0.84% for the five-year and 1.88% for the ten-year periods and 2.36% since the fund's inception. The minimum investment is $25,000. The Fund may invest in mortgage- and asset-backed securities which may be subject to prepayment risk and thus may be more sensitive to interest rate changes than other types of debt securities. The Fund may also invest in U.S. dollar denominated securities issued by foreign issuers which involve additional risks including political and economic instability, differences in financial reporting standards and less regulated securities markets. While the U.S. government has historically provided financial support to various U.S. government-sponsored agencies, no assurance can be give that it will do so in the future if it is not obligated by law. A bond's market value may be affected significantly by changes in interest-rates – generally, when interest rates rise, the bond's market value declines and when interest rates decline, its market value rises ("interest-rate risk"). Duration risk is the risk associated with the sensitivity of a bond's price to a one percent change in interest rates. Ratings are measured on a scale that ranges from AAA or Aaa (highest) to D or C (lowest). Investment grade investments are those rated from highest down to BBB- or Baa3. Investors should consider the investment objectives, risks, charges and expenses of the fund carefully before investing. This and other information is found in the prospectus and summary prospectus. For a prospectus or summary prospectus or for performance current to the most recent month-end, please visit www.bairdfunds.com contact Baird Funds directly at 800-444-9102 or contact you Baird Financial Advisor. Please read the prospectus or summary prospectus carefully before investing. The fund's current performance may be lower or higher than this performance data.